HOT MARKET! THE GOOD, THE BAD AND THE UGLY! Ottawa is having one of the hottest real estate markets we can remember and we’ve been selling real estate for over 30 years! Everyone wants to know what’s causing this, how can I take advantage and when will it end! None of the answers to that are easy or very predictable. A new government in Ontario, Alberta provincial election and a federal election are just around the corner. Plus the ongoing tug of war over trade with the U.S. can individually and in combination make significant changes to a real estate market. But Ottawa is somewhat insulated. There are two major economic forces here. Public service and high tech. For the foreseeable future (unless a new federal government launches major cuts) Ottawa will remain very stable and this is part of the reason Ottawa’s market has always been a good. Almost no declines in value and steady although too slow for some, growth. But with prices in other major cities out of sight high, (Toronto and Vancouver just to name two) Ottawa has become very attractive to those who can be mobile either due to retirement or job opportunity. Won’t you rather be in a city where $500,000 – $600,000 could get you a nice single family home in a good neighbourhood or in a city where the same dollars gets you a rundown fixer upper in a not so great areas. Sure, Toronto has it all, Broadway theaters, concerts from all the big names in music, Film festivals, aquariums and more. But that doesn’t address the day to day living that an affordable city and very well serviced city like Ottawa has to offer. On top of an influx of movement to Ottawa there is a housing shortage here. New home builders can’t keep up. I the “good old days” you could walk into a builder an have a home built and ready to move into in 90-120 days. Now you’re looking as 10-12 months. With a hot market some potential sellers are holding back as they are scared that they will sell their homes and have no place affordable to go. So it goes round and round and round. Not enough homes to buy? Let’s stay where we are. Therefore that house is not for sale and buyers can’t find enough homes. In the past few moths we have sold seven of our listings within a week and that counts days that we did not accept offers. In fact, all of them sold on the first day offers would be looked at. And all of them sold above asking prices. Some only a few thousand dollars and others as much as $30,000.00. So, the good: If you’re selling, values are high, homes are selling quickly and for top dollar. All that being said, we are still finding homes that are not in good condition or poorly marketed, not selling at all. The Bad: Exactly the opposite of the above for buyers. To get a chance at a good home you MUST get your pre-approval at a lender ASAP. Be prepared to either spend $500-$600 for a pre-offer inspection (if you even get a chance to do that) or risk going in with no inspection condition. These are the realities of real estate in Ottawa today. What you need is a representative who can guide you though this. Is their a representative out there that can guarantee to get you the home you want? NO! There are too many factors and people involved to make that kind of claim. What we can promise it that we’ll give you the straight facts. No fantastic promises. Just the facts and how to best navigate the market! So, you want to save money. That’s the goal of most people who try to sell their home privately and go the For Sale By Owner (FISBO) route. It certainly can’t be for the fun of it. Making appointments, showing strangers through your home, not knowing if the stranger is a legitimate buyer or just casing your home, not knowing what to say to buyers and what not to say, dealing with lawyers, inspectors and reviewing offers that you have no idea what is really in them. You need all the facts when making a decision to sell yourself and one of those facts is that even for sale by owners or those using mere posting real estate services (lower commission but no representation or services) end up paying a real estate agent some commission. And that agent is working for the buyer and not for the seller. Real estate agents will search for the best homes like the ones from lbarza.com.au that are for sale that they have information about but they won’t bring their buyer to a FISBO for free. If the buyer has to pay their own agent they will just deduct it from their offer as it is normal practice for the seller to pay commission. Right away you are not saving as much as you might have thought and more times than not, loosing money. Let’s face it, selling a home without a real estate agent is just plain risky. FSBOs jeopardise time, money, and most importantly, an advantageous outcome. But, despite research that shows that FSBO listings sell for about 5.5 percent less than comparable properties sold through the MLS, some sellers still want to go the do-it-yourself route, forgoing the cost of commission and the aid of an agent. Toronto real estate experts provide exceptional service and results to her clients. In reality, a listing agent brings more to the table than most homeowners realize. Here are 8 valuable reasons why you should use the services of a full time, full service real estate agent. What you don’t know can absolutely hurt you, and it can come back to bite you even worse. A real estate agent’s knowledge is priceless. Agents know what the internet doesn’t tell consumers, and we can provide insight that consumers can’t get online. Agents know how to make sense of the data and the entire selling process so that sellers and their home are fully prepared before hitting the market. Everyone’s time is valuable, but do sellers truly have time to attempt to play the real estate agent role? Are sellers available to show their homes in a safe manner, and is it accessible on a moment’s notice? How will sellers handle showings when they are on vacation for a week and there are cash buyers in town? Can you say “lost opportunity”? Do sellers have the time to devote to scheduling and managing showing appointments? What about feedback? Do sellers know what questions to ask and the best way to reach agents to elicit a response? Are they able to aptly respond to agent and buyer questions, concerns and objections in a manner that will help overcome the hesitation to move forward? Are sellers able to offer solutions to buyer-perceived obstacles with the property? Can they furnish expert resources such as architects, contractors, designers, engineers or other experts? Image is everything when it comes to real estate. You never get a second chance to make a first impression, and the same goes for putting a property up for sale. Do sellers know how to properly prepare their home for sale, and do they know what it needs or doesn’t need? Are they able to stage it or bring in someone who can? What about professional photography, drone, video and 3D? Are they able to orchestrate photo and video shoots with ease and know who to contact? What about photo styling and having an eye for how a space will translate on camera? How are sellers going to market their property? Do they know who the buyer demographic is for their home and/or neighborhood? How do sellers reach buyers? Do sellers have access to predictive analytics or know how to strategically promote the listing to other agents in the community and on social media? What kind of print media is appropriate for the property, and how will sellers have that created and printed? What agents are most likely to have buyers for the home? Are they local or regional, or must sellers reach out nationally or internationally? In real estate, the world doesn’t seem so vast as agent networks are strong, and six degrees of separation often ensues when an agent in Ottawa, Toronto or Vancouver reaches out to his or her agent contact in Calgary, Halifax or Montreal about a buyer for a property. So the sellers received an offer. Now what? How do they respond? What do they look for in that purchase agreement? What is good or bad? Are they protected or left exposed? In this hot seller’s market, are sellers prepared to take multiple offers and milk a bidding war to get the best deal? What terms and conditions could be disadvantageous to the sellers? What costs should or shouldn’t they incur? Do they know how to negotiate to keep the buyer in the game versus walking away? How do they strike a delicate balance between protecting their interests as a seller and working with the buyer toward the goal of putting an agreement together? Here’s where what sellers don’t know can hurt them the most. And there is a lot that most seller don’t know that they don’t know! Recently I came across the concept of VA home loans, I personally have seen many homes being financed for veterans, but none offered the services such as VA home loans are offering. If you are a veteran and are having a hard time in finding the right house for yourself due to financial issues, then I highly recommend you check out VA home loans to avail offers like 0% downpayment and low-interest rates. This is one of the most difficult parts of a real estate transaction, even for real estate professionals. Do sellers know what inspections they should expect? How should they handle items that are flagged as needing repair or replacement by an inspector? What kinds of repairs are usually done by a seller, except for the obvious ones: HVAC repair, flea management with the help of services like Pest Control Chicago, etc? Do they have a roster of repair people at the ready who can come out on a moment’s notice? Hint: It’s typically not who you find in the Yellow Pages or by doing a Google search. If sellers don’t know better, they could find themselves making an improvement, not a repair on their home for a new buyer. So the home is under contract with a buyer. What do sellers do next? Do they know who they need to be in contact with? Who is going to be handling the closing? What items should they be following up on? How will they handle challenges like the property not appraising for the contract sales price or the deal potentially derailing due to home inspection issues? What happens if the buyer’s financing is shaky? Do sellers know what the closing protocol is in their market and what the expectations are? When do sellers have to be completely moved out of the house? In some markets, that means by the day of closing, and in others, the seller has possession for a few days after closing. What condition are sellers expected to leave the home in? How do they handle unexpected, last-minute issues that may arise: the movers damage the home when moving belongings out, the air conditioner is on the fritz, or worse yet, the moving crew doesn’t show up when they are supposed to. Selling a home without an agent is like throwing caution to the wind along with the commission. The perceived savings can come back to bite sellers in terms of uninformed decisions and costly mistakes that — in the long run — end up costing sellers more money than if they would have used an agent to protect their interests and help them justify their home’s value in the first place. 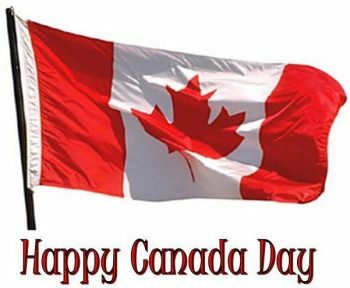 It’s Canada Day again at lets hope this time Parliament Hill is more accessible and lets us all enjoy being in Ottawa during this festive weekend. We really should be celebrating being Canadian and living in a country that does its best to be inclusive and fair. Sure, it’s not perfect and there are many areas we can do better in but just look South and you’ll see what could be. BE PROUD TO BE CANADIAN! This winter has been a cold one and sadly it’s not over yet!We often wonder why we would live in a place where it gets to -30 degrees. We’re sure you’ve done the same! Although we can’t do anything about the weather, we can do various things the keep cosy in these freezing temperatures. It has been said that up to 10% of heat escapes out from your floors, making area rugs a great addition to any room not just because of the colour and style they bring, but also for their practical use. Fireplaces are the best when living in a cold climate. There is nothing like sitting beside the fire with friends and family, defrosting from the weather outside. It is important to have your fireplace (gas fireplace and wood burning) inspected before the winter season in order to ensure that it works and is safe. Ensure that all of your windows and doors are completely sealed from the outside as this can dramatically increase your energy bills and make your home cold. This may seem like an obvious tip, yet most people tend to ignore the drafts of cold air coming from their doors and windows. There are many do-it-yourself products to aid in this but at some point, you may want to look at replacing old windows especially if they are showing a lot of wear and tear. Learn more about Northern Lights Exteriors for exterior remodeling contractor that can offer various styles of energy-efficient replacement windows. Your bed: the comfy and cosiest place in your home. If you find yourself still a little chilly laying in bed during these dark and frigid winter nights, look to invest in some warm sheets. Flannel is a great material for warm winter sheets as it is thick and does a good job of insulating your body heat. If all else fails, add some comfy throw blankets too! Mattress thickness plays a crucial role as well. This may seem like a silly idea but this actually works to keep a room warm. Hot air rises so when fans are circulating clockwise, they direct the warm air downward toward you. In the Summer reverse the fan and it will pull cool air up from the floor the help cool the room. There are a multitude of thermostats on the market today. You can get everything from a simple older style one setting thermostat to high tech WiFi ones, with Thermostat Wiring Colors Code and that you control from your smart phone from anywhere in the world. Get the best that fits your budget. It will help not only keep your home warm but reduce your energy costs and energy footprint.